It was Phillips’s strongest contemporary sale in more than two years, with talked-about lots, including works by the Chinese artist Ai Weiwei and the Los Angeles-born Mark Bradford. On the heels of that success, in London last week, Phillips is preparing for its big spring auctions in New York. For May, Phillips says it already has a Cy Twombly lined up, “Untitled (Steps)” from 1960, estimated at $2 million to $3 million. That price may pale compared with the $69.6 million, with premiums, paid for a Twombly at Christie’s New York last fall. But Edward Dolman, a former chairman and chief executive of Christie’s who took over at Phillips in July, is not concerned. He believes the house’s focus on contemporary art, the hottest sector of the market, will give it an edge (and ultimately greater profitability) than its larger competitors, which serve a broader range of sales, from old masters to Impressionists, as well as the latest Jeff Koons. Rivals say Phillips doesn’t have the networks with collectors and consignors. Phillips hopes the presence of the veteran Mr. Dolman — who headed Qatar Museums — and its flashy new Berkeley Square headquarters in London will reassure them. A sandy-haired, square-jawed Englishman, Mr. Dolman, 54, divides his time between 450 Park Avenue in New York and London, where he spoke by telephone about the economic forces roiling the auction industry and about his plans for Phillips, which is owned by the Mercury Group, a Russian real estate and retail conglomerate. Following are edited excerpts from the conversation. How has the auction business changed in the past decade? While I was C.E.O. of Christie’s, the whole market evolved extremely quickly from a business dealing with niche interests to a massive global business focused on contemporary art. Christie’s rarely sold works by living artists at the end of the 20th century, but now the vast majority in terms of value at auction is the result of new artists. This drive toward modern and contemporary art is transforming the business completely. That, and the entrance of international collectors from all parts of the world, like China and Russia. You described your rivals’ business models as anachronistic. At least half the turnover now at these major auction houses is from one department, postwar and contemporary. The trouble is the old business model services all collecting categories, and that puts stress on the cost base of these companies. Christie’s and Sotheby’s are almost like institutions that are struggling to provide a broad range of services across tastes, age groups and art forms. This is difficult to sustain. Are auction houses making profits? Definitely. The issue is, do they make enough profits to represent an acceptable return on capital for their shareholders? Even profits on high-value lots, where competition is most intense? Yes. The very public nature of what we do puts pressure on people to have big, showy sales and fabulous works of art, and it is very difficult if you are deal-making to walk away. Often in the search for market share, that walk-away point is too late and the margins have gone. Why do you think the chief executives of Christie’s and Sotheby’s decided to step down? I don’t know, and I can’t speak for them at all. I think Bill Ruprecht had been at the helm of Sotheby’s for a long time. With Steven Murphy, he came in from the outside. There is something to be said for mixing the gene pool, but the auction business is a tough place to establish credibility if you are not versed in it. He was very keen on developing online sales. Perhaps we should look there. What changes are you making at Phillips? We are opening a salesroom in Geneva. I wouldn’t be surprised if you see us in some shape or form in Hong Kong. The Armory Show has come a long way since 1994, when it began in the Gramercy Park Hotel. As this year’s four-day fair opens in New York on March 5 on Piers 92 and 94, Noah Horowitz is in his third year as executive director, plotting its revival after some years of ups and downs. It faces stiff competition in a crowded field for art fairs. But he is shrinking the number of exhibitors (199 this year; down from 274 in 2011) to emphasize quality over quantity, he says. Galleries that lost confidence over the last decade are returning, he says, mentioning Galerie Lelong and Metro Pictures (showing Camille Henrot, among others). This year, a trend evident among his exhibitors, Mr. Horowitz says, is not just the search for the new but also a “shift back in time” — younger galleries discovering artists who were forgotten or overlooked. 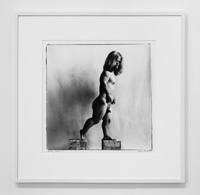 For example, there’ll be the work of George Dureau, an influence on Robert Mapplethorpe, at Higher Pictures. With its global focus, the fair has drawn 15 galleries from the Middle East, North Africa and the Mediterranean. The first from Egypt is Aleya Hamza, of Gypsum Gallery in Cairo, who is showing three female artists, including Mona Marzouk, whose work dwells on ideas of rule of law and justice. A symposium on March 7 and 8, “The Way Things Can Go,” includes Yael Bartana, an Israeli artist from Berlin; Tarek El-Ariss from the University of Texas at Austin, who will discuss Arab modernity; and Khalil Rabah, a Palestinian artist. As the art market expands, more new buildings go up: Hauser & Wirth, one of the art world’s mega-galleries, is constructing a new space in Chelsea. The multistory gallery — to be built on a 7,400-square-foot lot at 542 West 22nd Street, between 10th and 11th Avenues — will replace the gallery’s downtown location on East 18th Street, where its lease runs through 2017. H&W, which represents artists like Paul McCarthy, has another gallery on East 69th Street in New York, and spaces in Zurich; London; and Somerset, England. It is also currently converting a 19th-century flour mill in Los Angeles. Annabelle Selldorf, the architect, will design the new building here, which is scheduled to open in 2018.